We crossed Greenland in darkness, skirted Iceland's rugged northern coast and passed almost directly over the sleeping city of Copenhagen. At dawn, the few not sleeping were treated to the sun's first rays illuminating a snow-covered mountain range protruding from the clouds. Our Emirates flight continued south, toward the Black Sea and the Middle East beyond. At noon local time, we crossed into Iraqi airspace near Mosul and bisected the entire country from north to south. I was glued to my window, staring down at the brown desert that stretched to the horizon, a blue ribbon called the Tigris River and a barren mountain range notched like a serpentine skeleton, to the west. We flew close to Baghdad under blue skies, but the city was obscured by haze or perhaps a sand storm and we could not see it. I thought of all that had been won and lost there in the last two decades, and all that had been sacrificed. From the southern tip of Iraq, we moved out over the Persian Gulf, with Kuwait and Saudi Arabia on the right side of the plane and Iran on the left. 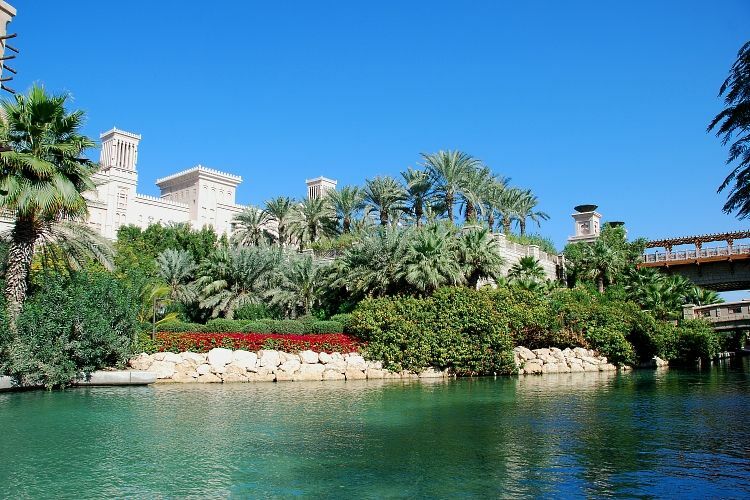 A little more than an hour later we began our descent into the new steel, glass and marble capital of the world, a dazzling gem sparkling on the coast of the Arabian Peninsula, Dubai. 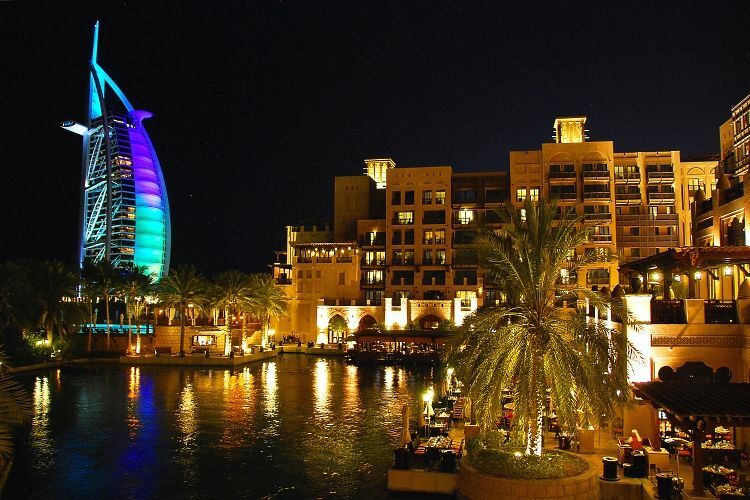 Dubai is a city-state carved from the desert and ruled by a constitutional monarchy, the second largest of the seven emirates that make up the United Arab Emirates. In early days, the people of Dubai depended on fishing and pearl diving, but when oil was discovered in 1966, the population exploded. Today nearly 85% of residents are noncitizens from around the world, primarily Asia, drawn by jobs. 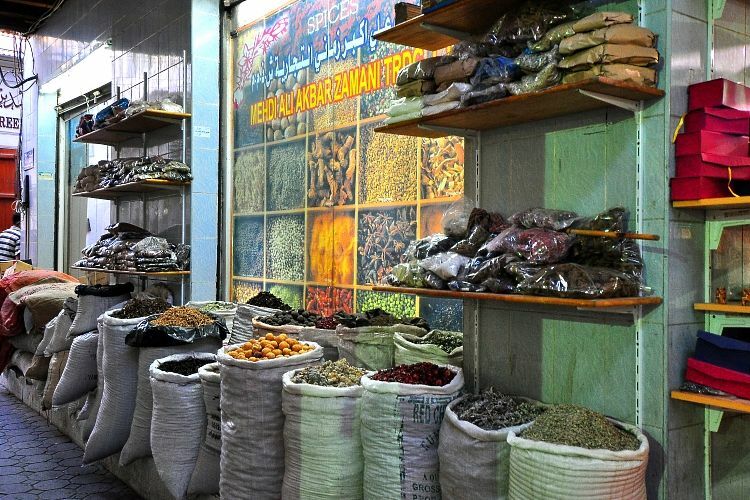 While Dubai's Arabian heritage and Islamic roots are evident everywhere, the UAE is a model of cultural and religious tolerance that extremists in the Middle East would be wise to adopt. Dubai's leaders are determined to build a world-class business center and tourist destination where only 50 years ago, there was almost nothing. 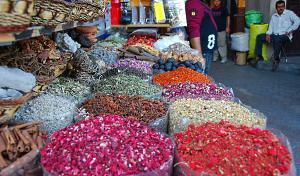 Old traditions, new money and unlimited imagination have created something quite unique. The first I saw of Dubai on our flight's approach was the stunning Burj Khalifa, the world's tallest building. 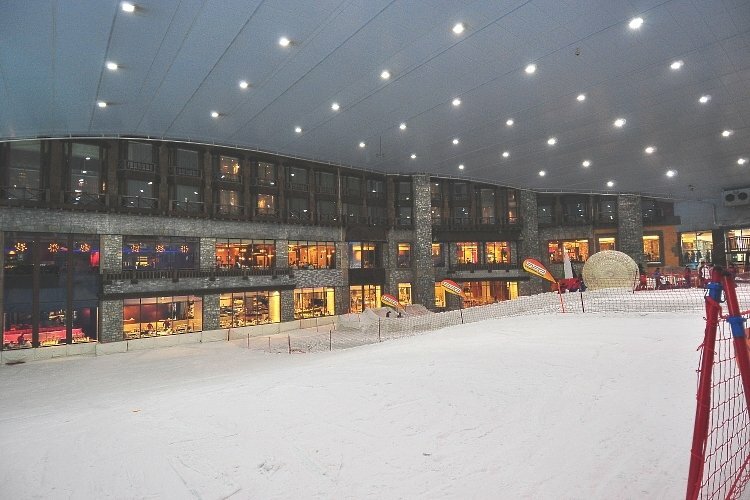 It is a singular achievement, an ultra-modern mix of offices, hotels, residential space and restaurants that dominates the skyline, but it is hardly alone. Dubai boasts dozens of new skyscrapers of every shape and size, both office buildings and residential, each a bold artistic statement by its architect, as if it was decreed that every building must exude a "money is no object" attitude. 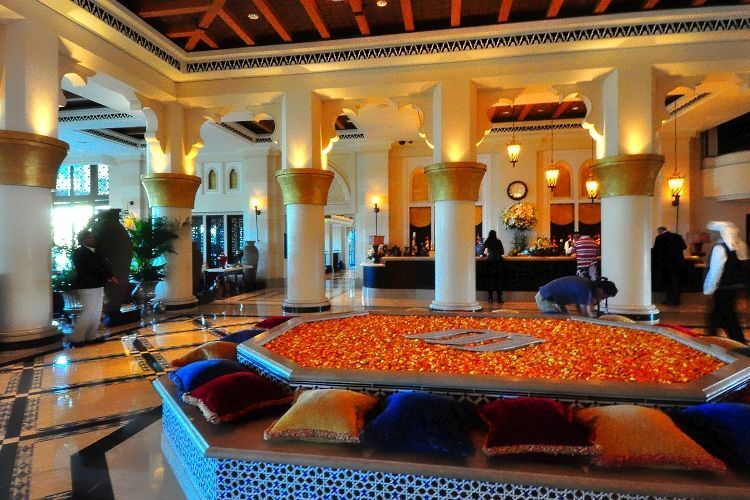 We checked into the beautiful and welcoming Mina A' Salam, one of Dubai's 75-plus five- and six-star hotels. 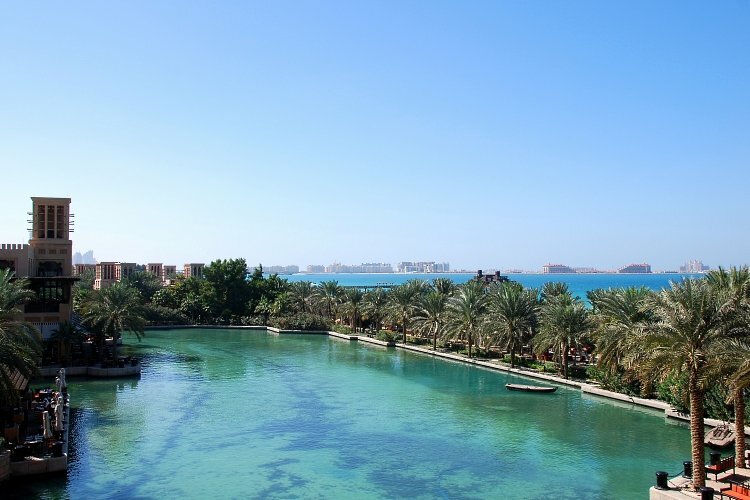 The oceanfront Mina is linked to a sister hotel (Al Qasr) and to numerous pools and villas by man-made canals and water taxis, in the Venetian style. 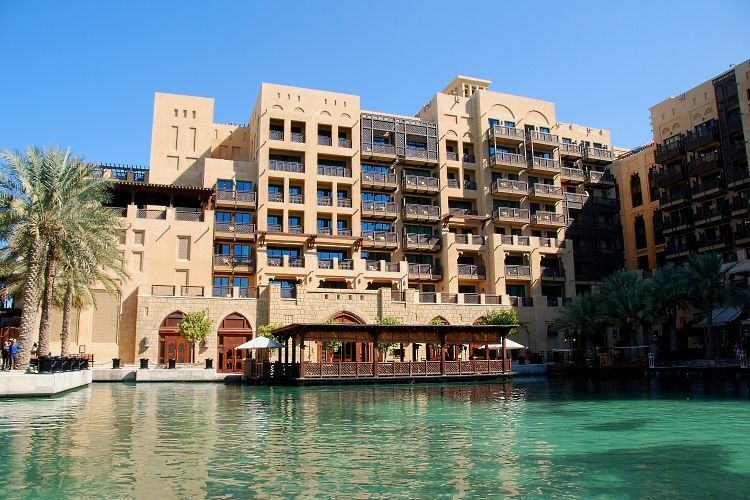 There are two dozen restaurants and a large souk (shopping area) on the property, along with an opulent, 30,000-square-foot fitness center and a sprawling spa. 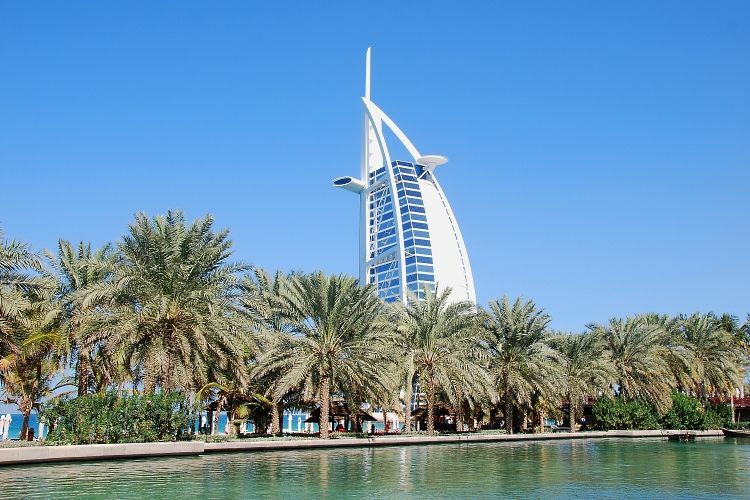 Standing just offshore from the Mina A' Salam, on a man-made island accessible by bridge, the Burj Al-Arab lays claim to the title of the world's most extravagant hotel. Built to resemble the sail of a billowing Arabian dhow (boat), the Burj Al-Arab is 1,053 feet tall and utterly unique in appearance. Visible for many miles along the coast and inland, the hotel exterior is brightly lighted and changes colors frequently during the night. 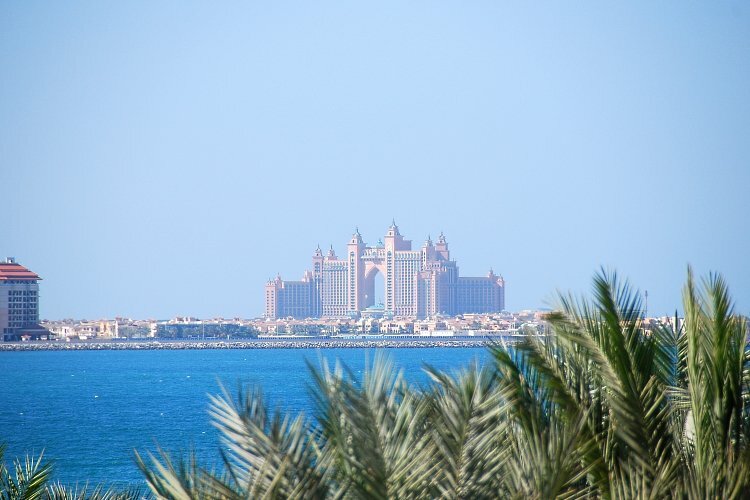 On our first morning in Dubai, we visited the Palm Jumeirah, one of three palm-tree-shaped man-made island projects. The main island consists of a trunk and 16 curving fronds, each more than a mile long, lined with lavish villas. The main island is enclosed by three additional islands that form a circle called "The Crescent". 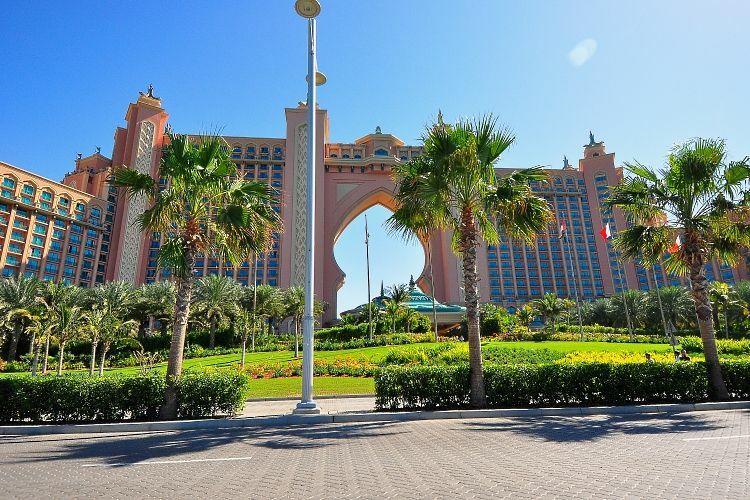 The pink Atlantis Hotel and the country's largest water park sit atop the Palm Jumeirah, and the rest of The Crescent is home to numerous luxury hotels, many still under construction. We drove the entire project and saw precious few cars or signs of habitation for a development of its size. As hard as it was to believe that all the land there was reclaimed from the sea, there is an even larger man-made island project just down the coast. "The World" consists of 300 islands in the shape of a map of the globe. While the developers claim that 60-70% of the islands have been sold and that owners are obligated to begin construction, only two islands are currently being developed and the sale of additional islands has been put on hold. Next we headed to the older part of Dubai, where broad Dubai Creek meets the Persian Gulf and Arab and Indian traders load and offload tattered vessels that seem barely seaworthy. I consumed my first (and last) camel burger, confirming that at least one exotic food does not taste like chicken. 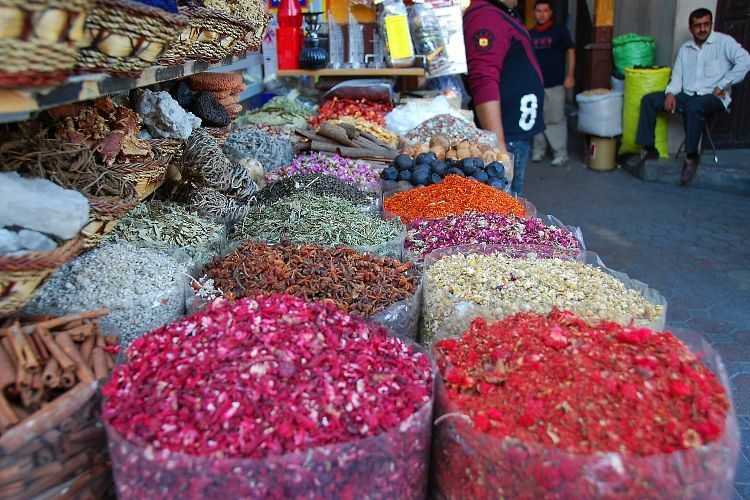 We visited two of the most popular markets, the Spice Souk and the Gold Souk, but found both disappointing compared to the ancient souks of Cairo and Aswan and Istanbul. 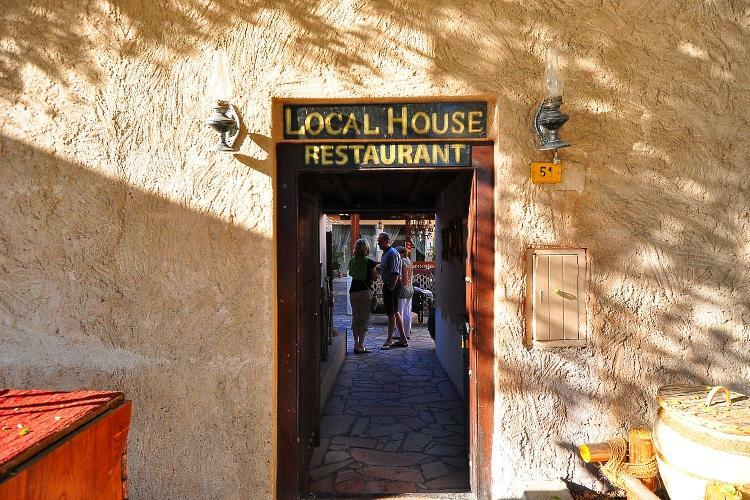 Dubai does "new" very, very well, but "old" is better served in other places. Die-hard shoppers will be pleased to find 40 shopping malls in Dubai, including Dubai Mall, the largest in the world, featuring 1,000 shops, an ice-skating rink and aquarium. 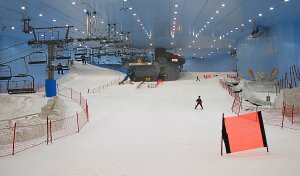 I visited the next largest mall, the spectacular Mall of the Emirates, not to shop but to access its biggest attraction -- Ski Dubai -- for a few runs on real snow. 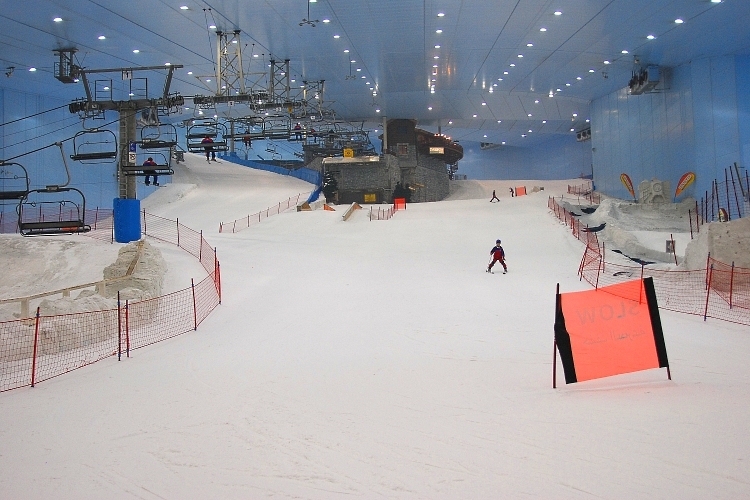 Ski Dubai is a ski slope inside a huge metal canister, 280 feet high and 260 feet wide. The longest run is 1,300 feet, about one quarter of a mile, and the total area covered by snow is 242,000 square feet, the equivalent of three football fields. Ski equipment is covered by the price of admission, but I had to buy some cheap gloves and a hat at the ski store in the mall before entering the ski area. The temperature was 28 degrees F, which is lowered to about 20 degrees during snowmaking. There is a traditional chairlift to the top and a rope tow for beginners in a less-steep part of the terrain. 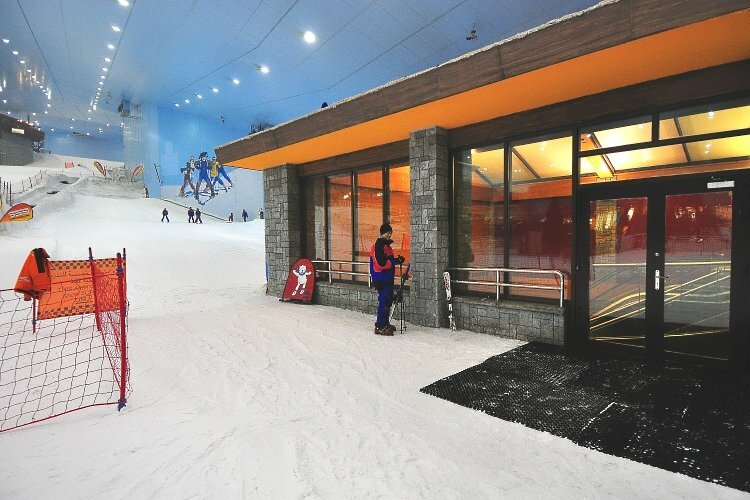 It took a lot longer to ride up than it took to ski down, and it smelled more like putting your head in the freezer than the great outdoors, but I did enjoy the novelty of indoor skiing and the snow felt like the real thing. 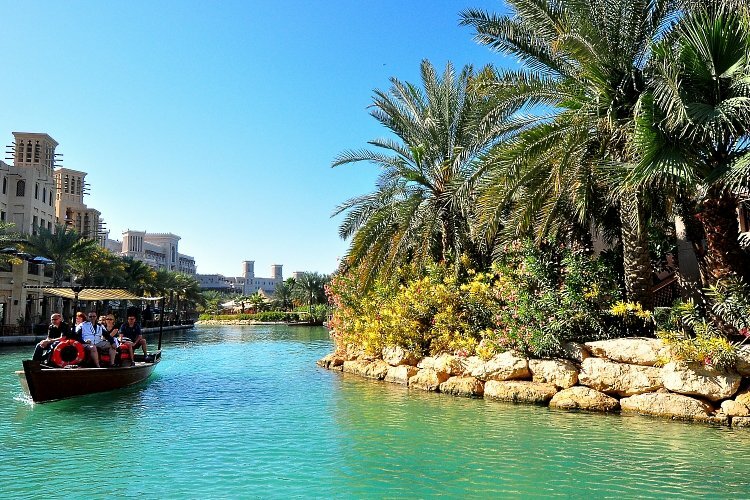 Other popular tourist attractions include crossing Dubai Creek on an Abra (wooden boat), or taking a private dinner cruise. 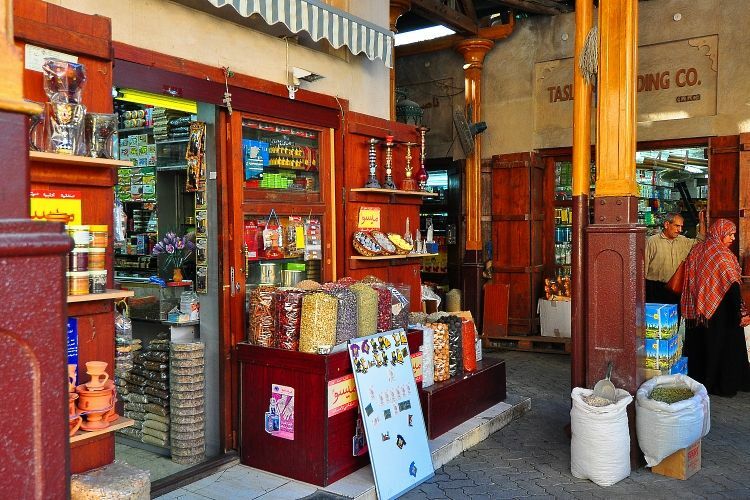 The Heritage Village draws visitors who want to see what the city was like when it was still a small trading town. The Jumeirah Mosque is a classic example of Islamic architecture and is the only mosque in the city that is open to non-Muslims. 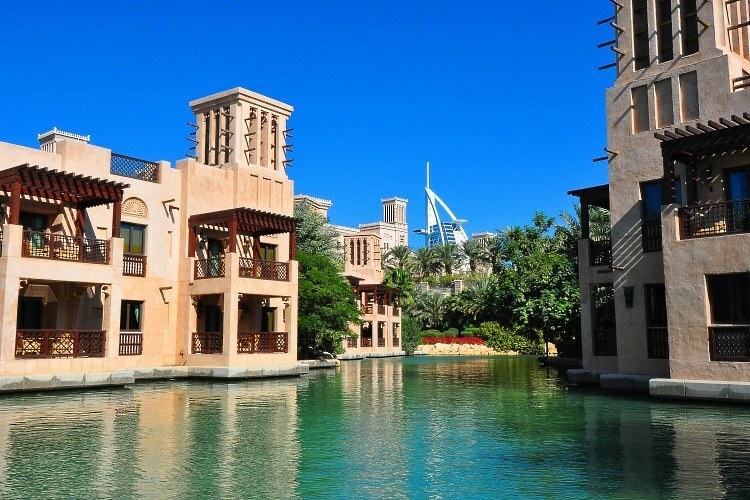 The Dubai Museum houses exhibits based on the city's history and culture. 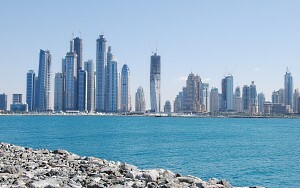 Dubai was hard hit by the global financial crisis in 2008, which dropped real estate prices by 50% and brought many construction projects to a halt. 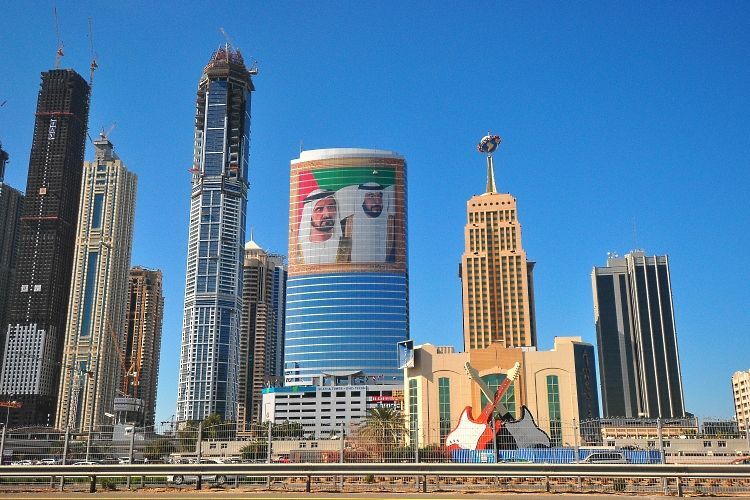 Neighboring Abu Dhabi, the largest of the United Arab Emirates, has loaned billions of dollars to Dubai's state-owned development company, Dubai World, which is still working with its creditors on a plan to restructure at least $25 billion in debt. 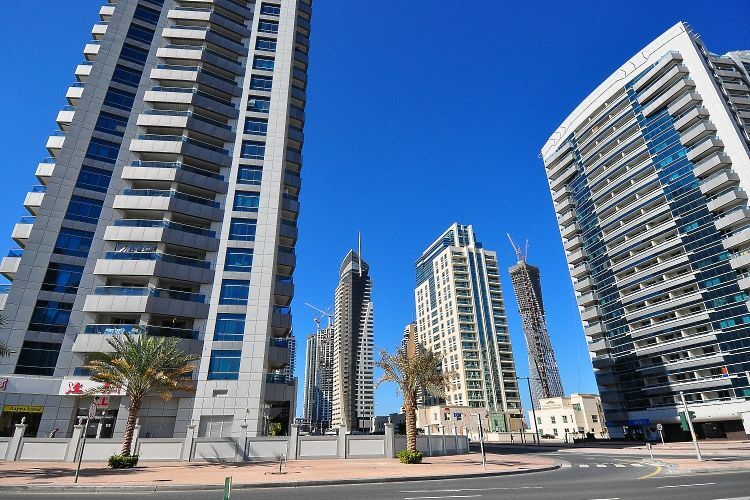 An unprecedented number of new skyscrapers and luxury hotels have been built here in the past 10 years, and with so much of this commercial and residential space still unoccupied, it's hard to imagine Dubai will need more coming online for a very long time. 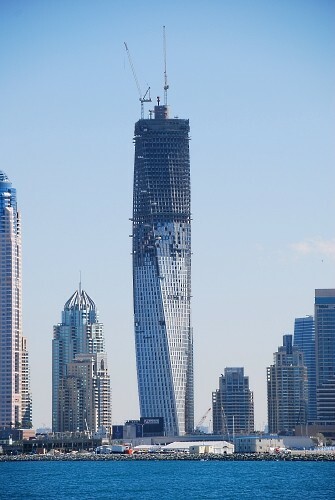 But there are also many unfinished skyscrapers crowned by enormous cranes, and the skeletons of countless unfinished hotels. In three days we never saw a single crane moving or any other sign of ongoing construction, on anything. 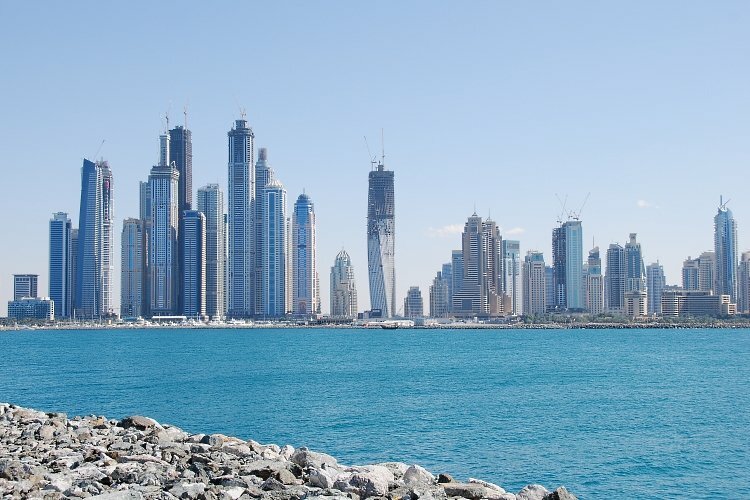 Which brings us to the multi-billion-dollar question: Who is going to pay to complete so many expensive projects that may sit empty for years -- or decades -- while Dubai tries to coax demand to catch up with supply? 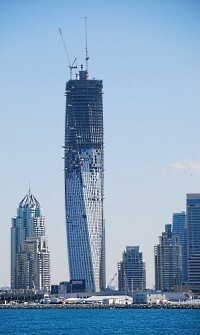 And if they cannot be completed, what will happen to these buildings? Engineers have begun to question the structural stability of any project that sits unfinished for years. 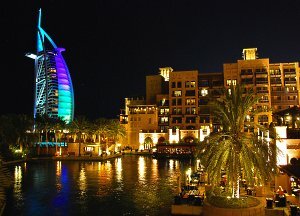 These are big hurdles for Dubai and the UAE, but nothing that should stop tourists from enjoying what is already here. 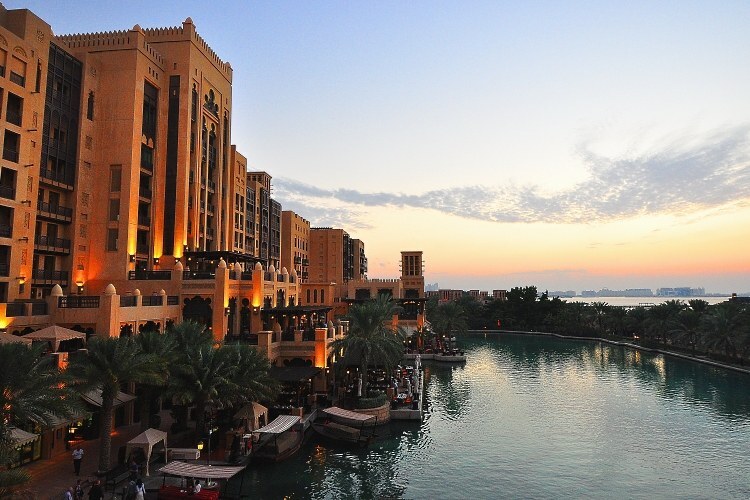 Is Dubai a must-see destination? Yes, if you are headed to this part of the world anyway, en route to a cruise or an African safari or a tour of India or other Asian destinations. 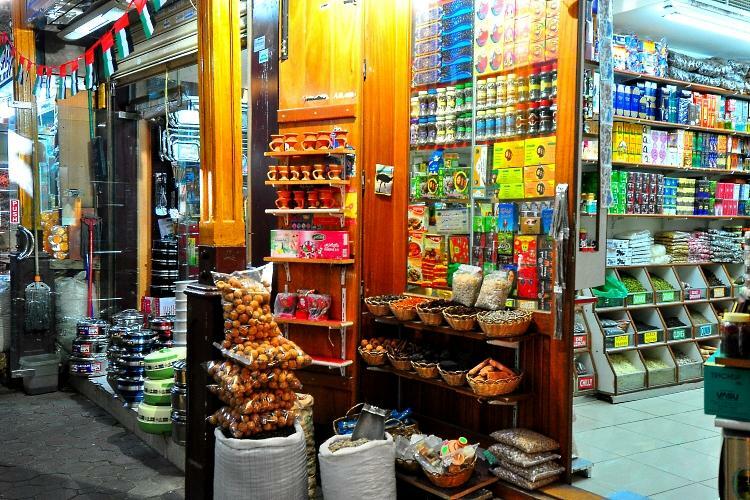 Though it was on my list for years, I waited until an Emirates connection in Dubai made a stopover easy. 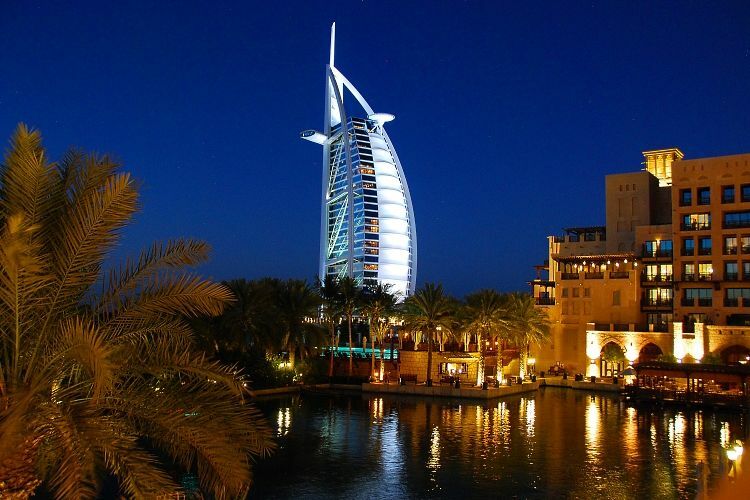 But despite the sheer grandeur of what has been built here, the jaw-dropping engineering and architecture, Dubai has stalled in its transition from past to future. There is an unfinished aspect to the place, as if it's not quite ready. Maybe that will change with time.